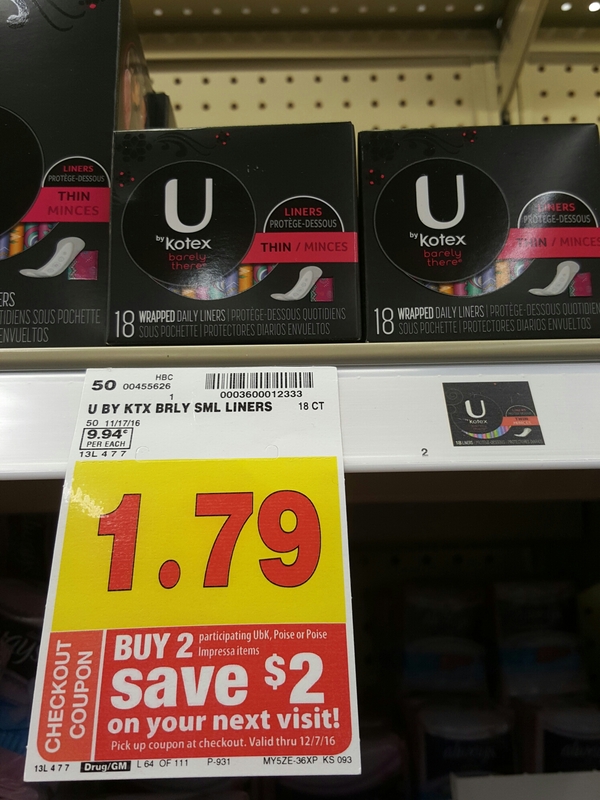 Head to your nearest Colorado King Soopers for this moneymaker deal on U by Kotex liners. 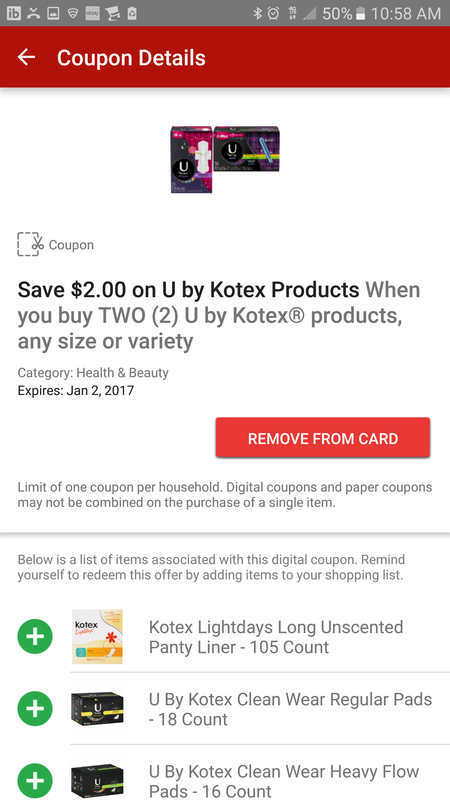 Purchase two 18ct barely there liners for $1.79 and use the $2/2 Kotex products digital coupon available on the app. This transaction comes with a $2 catalina available to use off another transaction. Catalina offer ends 12/07/16 and coupon expires 01/02/17. If you don’t live in Colorado, check out your local Kroger or Kroger brand stores. Follow me @tiaterlaje for more posts on fb,ig & sc. 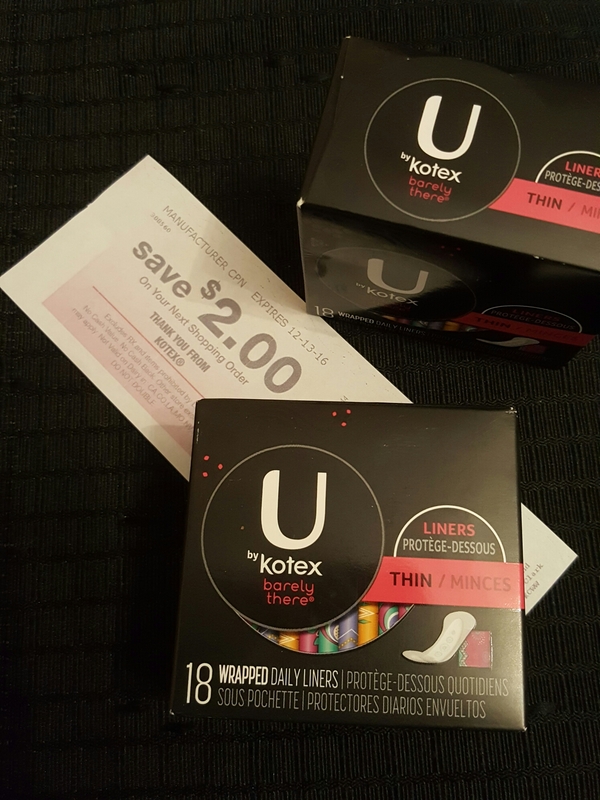 Next Post #ExtremeCouponing : I saved 88% at Victoria’s Secret!